Glass, M. Night Shyamalan’s sequel to 2000’s Unbreakable and 2016’s Split, pulled in $48.5 million this weekend in the overseas box office. 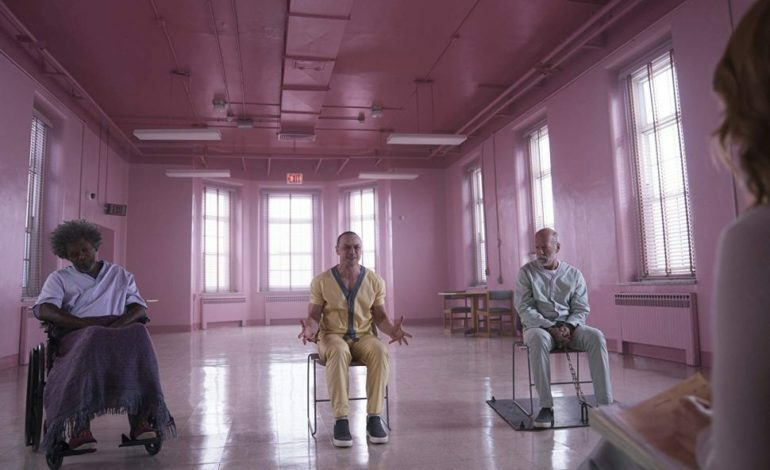 Despite middling reviews, Glass managed to be the top-grossing movie in Russia, Mexico, and the U.K. Domestically, Glass brought in $40.5 million. The supernatural thriller unites Unbreakable characters played by Bruce Willis and Samuel L. Jackson with James McAvoy’s character, who has dissociative identity disorder, from Split. Glass pushed former #1 international movie champion, Bumblebee, to #2. Travis Knight’s Transformers origin movie starring Hailee Steinfeld brought in a strong $20.9 million overseas this weekend for a total of $400 million worldwide. Coming in third with $14.3 million in international markets was Warner Bros.’ superhero movie, Aquaman. The film, starring Jason Momoa, is a mega-hit and has already exceeded the $1 billion mark globally. Bohemian Rhapsody pulled in $11.3 million overseas over the weekend for a total of $800 million worldwide. The Queen biopic’s star, Rami Malek, won a Golden Globe for Best Performance by an Actor in a Motion Picture Drama. Coming in fifth place internationally was How to Train Your Dragon: The Hidden World. Universal’s third installment of the animated fantasy earned $10.8 million in international markets for a total worldwide intake of $29 million. On February 22, the How to Train Your Dragon sequel will open in the U.S.